We are so excited to partner with you on this journey of new beginnings. We have been praying for your sweet little one from the moment that we found out that you are expecting. It is our prayer that we will provide a support system for you for the next few months. 2. God will give you everything that you need to raise your little one. 3. It does take a village to raise a child. 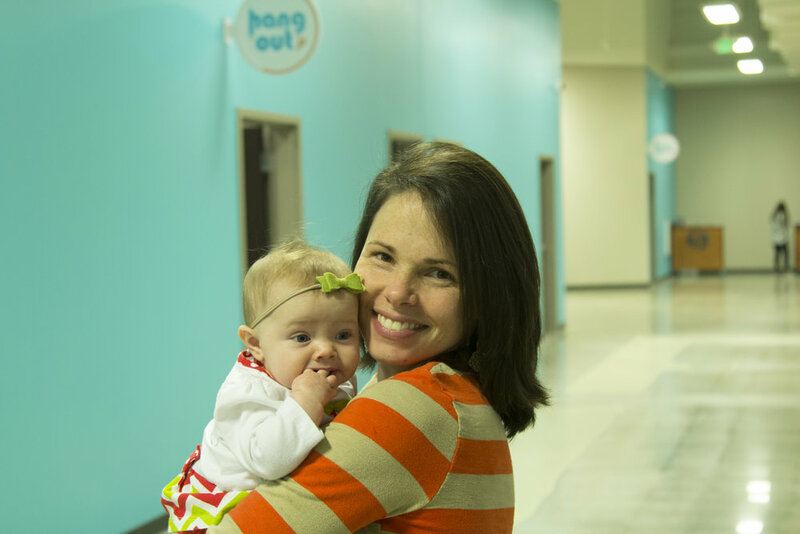 During the next few months, it is our goal to establish a relationship with you and your sweet baby. We want you to get to know all of our Sky room volunteers so well, that you feel comfortable, enjoying the service, without one fear or worry. We want to provide a support system of ladies that have gone through this journey, and answer any questions that you may have in the days to come. Motherhood can be very challenging, but is the most rewarding gift we could ever receive. • Give you a tour of Kid Point and our nursing room. • Introduce you to all of our Sky Room volunteers through a monthly newsletter and in person. • Give you a gift on your baby’s first visit to the Sky Room. • Connect you to other mothers. The next few months are going to be filled so much excitement and joy! You are going to be a wonderful mother and we will be here for you every step of the way!